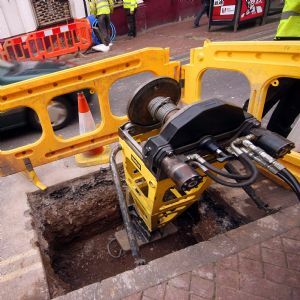 Much of the utility infrastructure in industrialised areas of the western world is very old – over 100 years in many cases – and needs repairing or replacing with modern pipe materials. 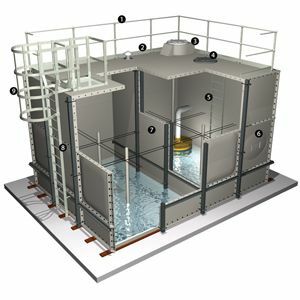 Ageing water infrastructure is causing a rise in leakage and places challenges on water companies to provide the best quality drinking water. 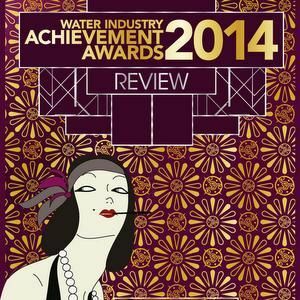 In the UK, Ofwat is challenging water companies and contractors to reduce leakage by 15 per cent in AMP7, reduce customer disruption, improve water quality, protect the environment and manage costs to consumers through use of innovation. Existing techniques to replace old service pipes are mainly impact moling or open-cut excavation, both of which have their limitations and cannot alone achieve the stringent targets being set. 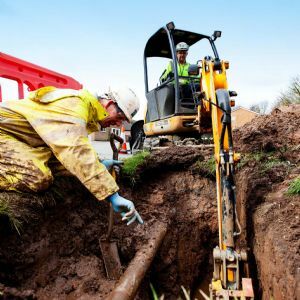 Renewing infrastructure is a key part of the utilities’ responsibilities, which includes renewing service pipes, but it is estimated there are over 340,000km of water mains in the UK, and for every 10 metres on average there is a service pipe connecting a home or business to the mains supply. Over 3,000 million litres of water are leaked from the infrastructure each day, and a proportion of service pipes need to be replaced each year to manage supplies, reduce leakage, and maintain water quality. In addition, many properties in the UK built before the 1970s received water through lead pipes. While many of these have been replaced over the years, a significant number remain. Lead has been proven harmful to human health, with children especially susceptible. Water companies use phosphate dosing at treatment works to coat the inside of the pipe to prevent leaching, but phosphate is a finite resource and unsustainable. Therefore, to protect the public, and improve water quality, water companies have been and continue to look to replace these ageing pipes. Utility companies must plan long into the future to continuously replace ageing infrastructure. Left unmanaged, the problems caused by ageing pipes will accumulate. The need to address the resulting issues will become more urgent, and to tackle the problem on a wider scale with more urgency will require significantly more investment. This investment will ultimately be funded through higher consumer bills. Regulators enforce controls and pressure the utilities companies to use, for example, innovation to maintain and replace infrastructure faster and more safely, with less disruption, and without significant increases in consumer’s bills. Pipe-pulling technology offers utility companies the innovation that Ofwat demands as well as reduced cost compared to other methods such as open cut excavation. Trenchless pipe-pulling approaches aren’t new, but they do offer some major advantages. Cutting the time to repair: Pipe-pulling technology can dramatically reduce the time incurred at the set-up and break down of the project. 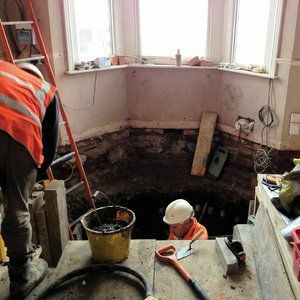 As no trenches are required, there is minimal excavation required at the outset or reinstatement to make the location good once again, potentially reducing the time onsite by over 60 per cent. 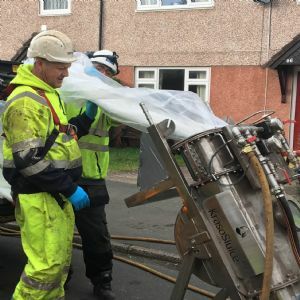 Reduced risk of utility strikes: Pipe-pulling technology minimises the risk of utility strikes as it extracts an existing pipe and then tows the new pipe in along the borehole created by the extracted pipe. 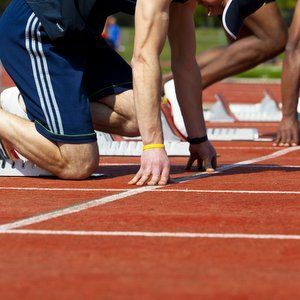 There is less risk of striking another utility as the pathway is already in existence from the old pipe position. Optimised working ground: Pipe-pulling methods use the existing pathway of the old pipe to tow the new pipe in and through. Therefore, the ground conditions have less overall impact on pipe-pulling approaches. Pipe-pulling can be adopted in very soft ground, rocky ground and on inclines, thereby offering an alternative when moling is less effective. Faster reinstatement as well as minimised disruption: Pipe-pulling minimises the size of excavation necessary on homeowners’ land. 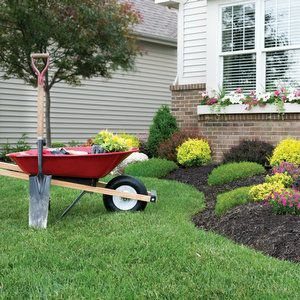 Where pulling is done from external pavement or road, the excavation on the homeowners’ property can be as small as an A3 sheet of paper. As highlighted in the point about time, this has the added benefit of reducing reinstatement costs, and causes less disruption and emotional distress to homeowner. This also impacts local residents using adjoining public highways as they are re-opened much quicker. Through-life cost benefits: Pipe pullers like the Kobus KPP300 are relatively inexpensive in capital equipment terms, costing around £20,000. Pipe-pulling systems do require new consumables on each pipe replacement, but maintenance costs are kept to a minimum by the design being largely maintenance-free. This means they can save around £1,000 to £1,500 per replacement compared to open-cut methods, meaning they can pay back in as little as six months and can keep on paying back for at least five years. Good for the environment: Pipe pulling removes the old decommissioned pipework from the ground, thereby eliminating the potential environmental waste, as well as enabling the recycling and scrap value recovery of the old pipe. One thing is certain – there are a huge number of repairs required and traditional methods take time, create disruption and can get very expensive.